Aluminum is the third most abundant element on the surface of the earth. Aluminum Pipes & Tubes are the widely preferred cause of their low density and its ability to resist corrosion via passivation. Jaydeep Steels are an eminent Aluminum Pipes Suppliers, manufacturer, and stockists. Aluminum pipes are used for outdoor railings, shelving, and framing. 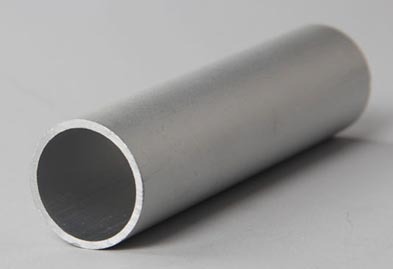 Aluminum Tubing is very essential to the aerospace industry and important in transportation and building industries, such as building facades and window frames. Aluminum Seamless Pipes & Tubes offer superior advantages like closer dimensional tolerances, improved surface finish, and enhanced mechanical properties as compared to the hot forming processes. Aluminum Welded Pipes & Tubes offer finer conductivity to weight ratio than copper and hence, is mostly put to use in power wiring of some aircraft. Aircraft Aluminum Pipes & Tubes are used because they are lightweight and strong. Further, it weighs just one-third the weight of steel, thus allowing making it easy for the aircraft to carry more weight and become more fuel efficient. Also, aluminum is highly resistant to corrosion too. Thus it ensures the longevity of the aircraft. Marine Aluminum Pipes & Tubes are manufactured using aluminum grades like 5XXX and 6XXX. Grade 5052 is put to use when formability is of main concern. Grade 5083 is a good alternative if strength is of paramount importance. 6061-T6 grade has very good corrosion resistance and is precipitation hardened, hence is considered to be an all-rounder in marine uses. 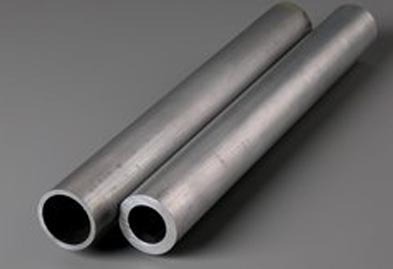 Aluminum Pipes and Tubes are available in shapes like Round, Square, Rectangular, Hexagonal, Hollow, Oval etc. Call us now to get the best price quote! Jaydeep Steels stocks a wide range of materials and grades. Below are a list of all standard aluminum pipes and tubes materials and grades we stock. Our experienced team of metal experts will get you the metal you need when you need it. Call us today for your Aluminum Pipe & Tube Needs!